Green Mountain environmentalists, social activists and just folks interested in compelling images of the struggle for justice should check out the new photo essay released Tuesday by former Vermont photojournalist Orin Langelle. 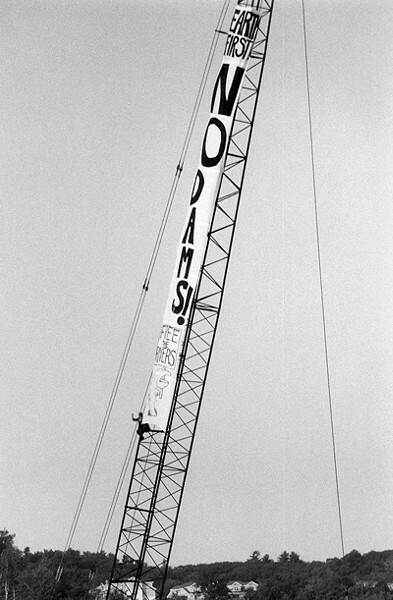 Titled "Defending Earth/Stopping Injustice — Struggles for Justice: late 1980s to late 90s," the historical photos trace various ecological and social justice battles waged in North America, including several in Vermont. Langelle, a former Hinesburg photographer and social activist, was profiled by Seven Days' Mike Ives in a February 20, 2008 story, "Shutterbuggin'." He released the photo essay in honor of Earth Day 2014. Langelle, 63, got his start in photojournalism in 1972 with an assignment to cover street protests outside the Republican National Convention in Miami Beach, Fla. Throughout the ’80s, he documented various ecological fights around the world. Then, in 1991, he cofounded the international Native Forest Network (NFN) in Tasmania, Australia, and ran its Eastern North American Resource Center in Burlington. Langelle points out in a written statement accompanying his work that many of the campaigns he documented over the years had successful outcomes. They include the global campaign to stop the killing of dolphins by industrial tuna fishing and campaigns aimed at the rescinding of the death warrant for political prisoner Mumia Abu-Jamal, a moratorium on the aerial spraying of toxic herbicides on Vermont forests, the permanent cessation of all logging on Illinois state forests, and the end of construction of hydroelectric dams on Cree territory near James Bay, Québec. 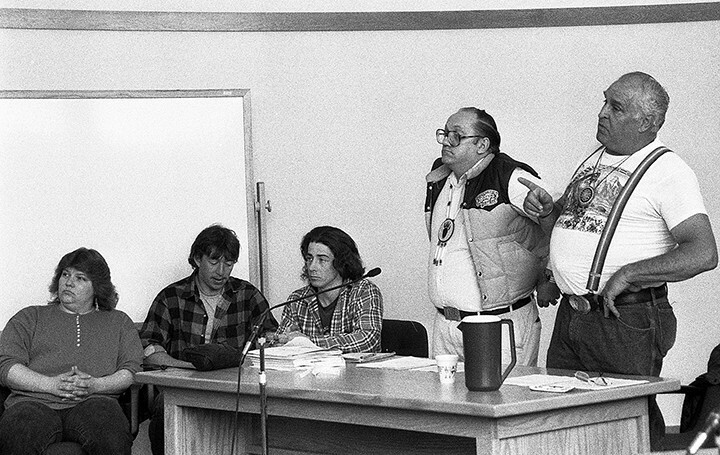 Other photos that may be of particular interest to Vermonters are those involving the Abenaki's struggle for state recognition in the 1990s (below). Langelle’s support for the Abenaki in the early 1990s, documented in this latest photo essay, led to his adoption as an honorary member of the Saint Francis-Sokoki band of the Abenaki in 1992. Langelle's photos, which have appeared in publications as diverse as USA Today, the New York Times, the Progressive, the Christian Science Monitor and EarthFirst! Journal, were taken around the world, from the United States to Tasmania to England to Indigenous Peoples' territories in northern Québec, Chiapas, Mexico, and the remote reaches of Nicaragua. Langelle's photography is a project of the Buffalo, N.Y.-based Global Justice Ecology Project, which only recently closed its Burlington office. Langelle, who spent more than two decades in Vermont before relocating to western New York state two years ago, has largely stepped aside from doing direct-action campaigns. He says he still gets out there once in a while to shoot images when the time is right and the need is there. And, as always, he makes no apologies for photographs that have a distinct point of view, both artistically and philosophically. "I take my responsibility as a concerned photographer very seriously," he says. "The myth of objective journalism, where the truth must be counterbalanced by the untruth, has no place in a just society, especially when corporate propaganda already dominates so much of the media." View the photo essay here.